Extraordinary and Plenipotentiary Ambassador of Mongolia to the UK Mr. TULGA Narkhuu met with The Rt Hon Mark Field MP, Minister of State for Asia and the Pacific at the Foreign and Commonwealth Office (FCO) on 05 November 2018. The State Minister congratulated the Ambassador on his second appointment and while mentioning successful development in the bilateral economic relations including mining investment and other sectors as Stock exchanges, Cambridge and Chevening programs, M. Field stated that Britain commends Mongolia’s choice to democracy and for being a beacon in the region. The Ambassador expressed his gratitude for the British efforts on economic and other sectors’ relations and noted his commitment to be a linking bridge between the businesses and entrepreneurs of the two countries. The Extraordinary and Plenipotentiary Ambassador of Mongolia to UK, H.E. Mr.S.Bayar has met with H.E. Mr. Philip Malone, the newly appointed UK Ambassador to Mongolia. Ambassador S.Bayar has stated that while commemorating the 55th Anniversary of the diplomatic relations, he is looking forward to work together towards the further strengthening of the friendly relations and cooperation of Mongolia and UK. Ambassador P.Malone has noted that the British-Mongolian relation has many opportunities and possibilities, particularly in the economic and investment sectors, to expand and therefore he will commit his endeavours towards fulfilling these prospects. 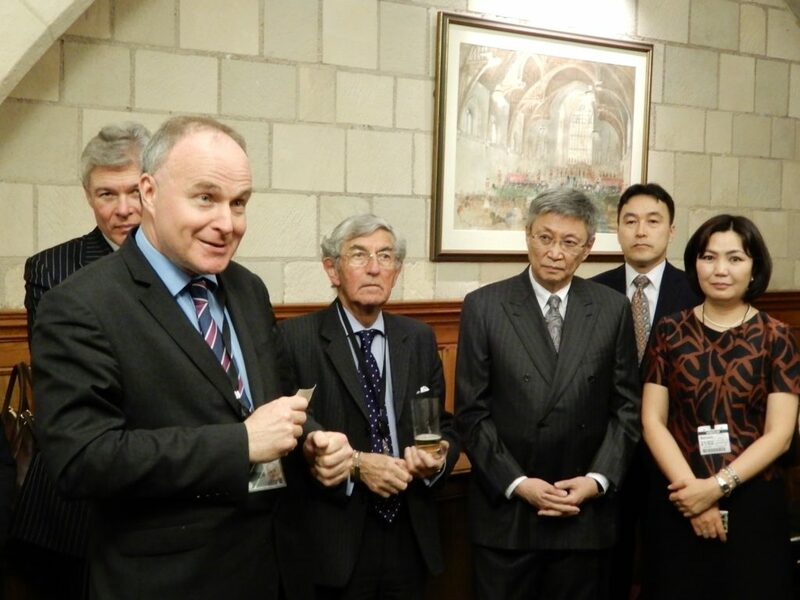 A delegation of the British Group for Inter-Parliamentary Union, consisted of members of both houses of the Westminster, has paid an official visit to Mongolia in November 2017, which had an importance in not only improving the bilateral parliamentary relations but also maintaining the frequency of the high level exchange visits between the two countries. 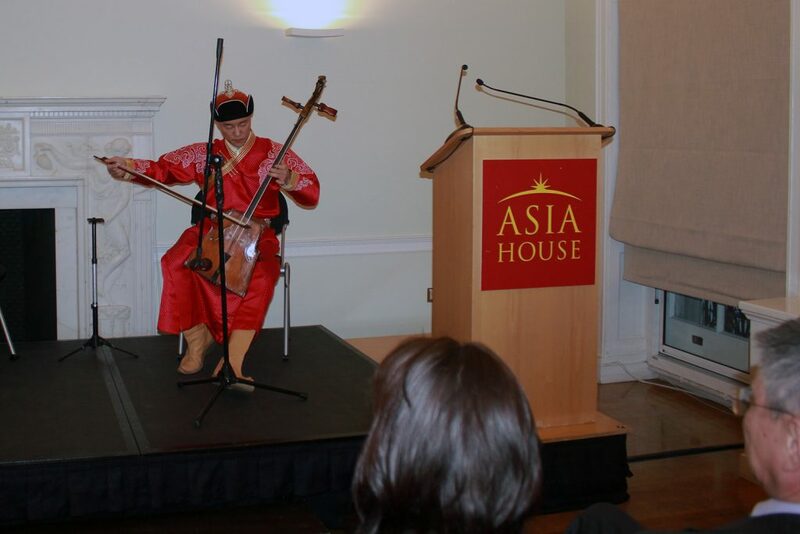 On the occasion of the 6th Mongolia Business Forum and 13th Mongolia Development Forum in London, a beautiful Mongolian music and song event “A BREEZE FROM THE STEPPES” held at the Asia House on April 5, 2017. Over 100 invitees have attended the party organized by the Embassy in collaboration with the Cultural Envoy of Mongolia to the UK. As H.E. Mr Bayar Sanjaa, Ambassador of Mongolia to the UK said in his opening speech that such events make closer Mongolian and British people. Ambassador expressed his appreciation to Ms. Pamela Kember, Head of Arts and Learning of the Asia House for the kind assistance rendered in organizing the event. 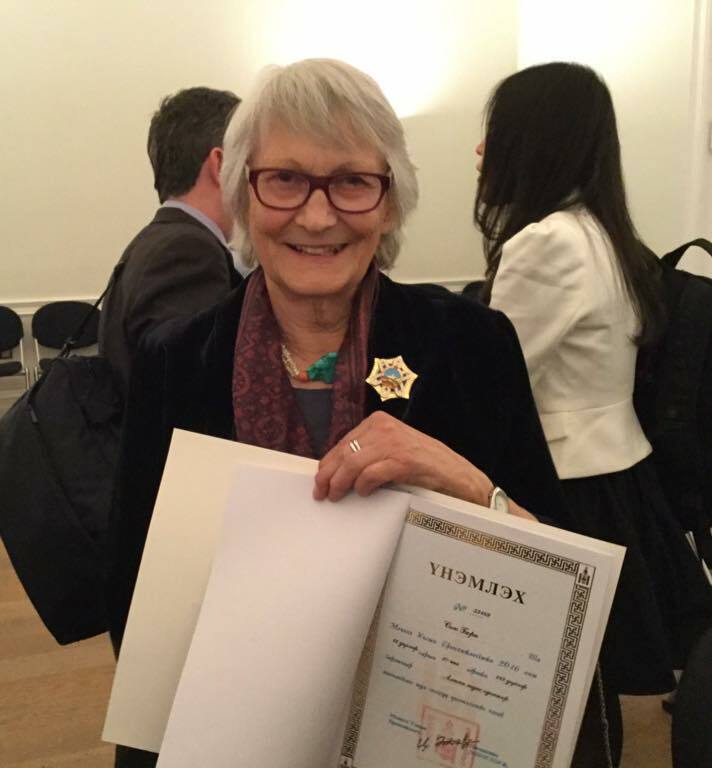 On behalf of the President of Mongolia, Ambassador has presented the Order “Altan Gadas” (Polar Star) to Ms Sue Byrne, International Advisor of the Art Council of Mongolia for her invaluable contribution in preserving Mongolian cultural, religious heritages. 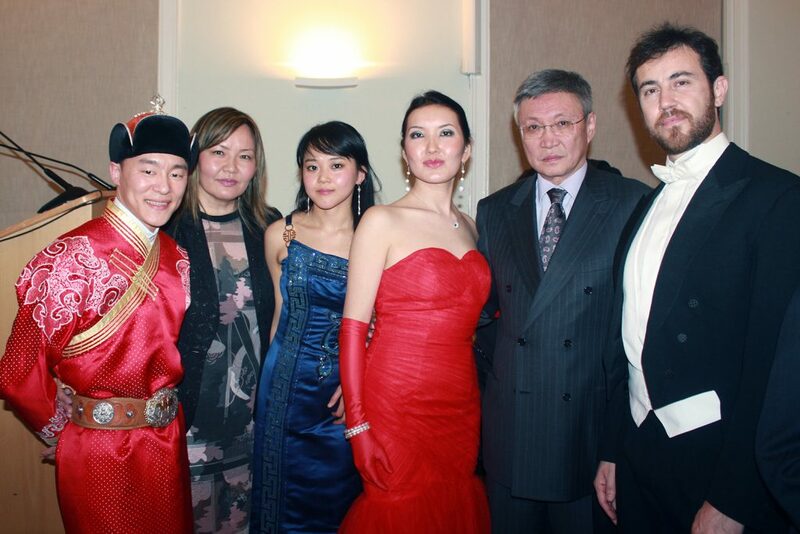 At the event, the audience have enjoyed the traditional melody of Morin khuur (Horse head feddle), khoomii (throat singing) performed by Soyol-Erdene Tserendorj, classical and modern songs sung by Mongolian opera singer D. Ayana and Italian singer Franco Cerri. Amusing artworks of the Mongolian artists and painters were displayed at the Asia House Hall. Ulaanbaatar /MONTSAME/ The Ambassador Extraordinary and Plenipotentiary of the United Kingdom of Great Britain and Northern Ireland to Mongolia Ms Catherine Arnold Tuesday presented the diplomatic credentials to the President of Mongolia Mr Ts.Elbegdorj. At the meeting held after the presentation ceremony, the President emphasized that the UK is the very first western country to establish the diplomatic relations with Mongolia in 1963, and noted that Mongolia and the UK have kept their cooperation at a high level. The sides noted the bilateral cooperation have been progressively expanding in the politics, economy and investment spheres. Mr Elbegdorj said that several British mining companies are cooperating with Mongolia and developing partnership agreements with the Mongolian companies. “The Mongolia-UK economic cooperation is supported by high-level visits,” Mr Elbegdorj said, and reaffirmed that His Highness Prince Henry of Wales has a standing invitation to visit Mongolia. The President expressed a hope that the UK Prime Minister Mr David Cameron will take part in the 11th ASEM Summit that will be held in 2016 in Ulaanbaatar, and a British delegation will attend events of the 25th anniversary of the first democratic election of Mongolia to be celebrated on July 29, 2015.